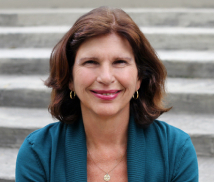 Terry Gaspard MSW, LICSW has been a therapist and relationship expert for over 30 years. Her work focuses on helping individuals, couples, and families become more resilient, build stronger relationships and marriages, and recover after break-up and divorce. She is a contributor to nine websites including The Gottman Institute Relationship Blog and the author of the award-winning book Daughters of Divorce: Overcome the Legacy of Your Parents’ Breakup and Enjoy a Happy Long-lasting Relationship.